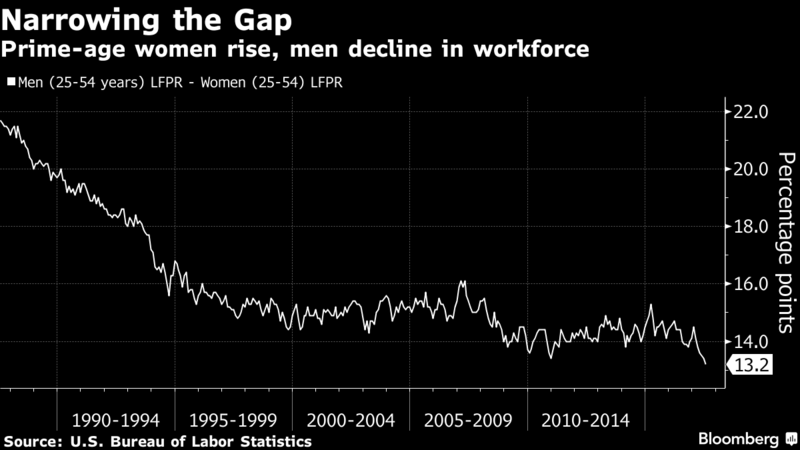 Via Bloomberg, the Bureau of Labor Statistics released data showing that the work force participation rate among women has increased by 0.3 percentage points since January, bringing the gap in participation rate between men and women to 13.2 percent. 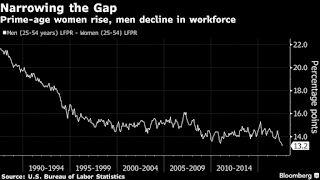 The declining participation among prime-age male workers has become an area of focus for President Donald Trump’s administration. Trump campaigned on reviving traditionally male-dominated industries such as coal mining and manufacturing that have struggled against greater globalization. Amid record-high job openings, the president has emphasized that Americans need to be open about relocating for work. You know, like how Trump has relocated for his job, and stopped spending so much time at his penthouse in New York or his resort at Mar-a-Lago. Prohibitive childcare costs make parents’ decision to return to work more difficult, and prime-age Americans are feeling the increased burden of caring for an aging population. The opioid epidemic also helps explain why a portion of the workforce is deemed unemployable. And immigration limits imposed by the Trump administration could curb workforce growth in industries such as farming and construction that are dominated by the foreign-born. Lucas Puente, chief economist at Thumbtack Inc., sees advances across the industries in which his company matches consumers and professional service workers. 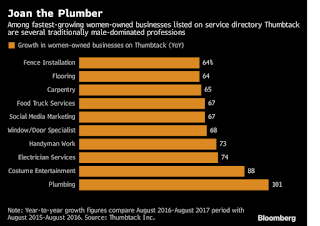 While men still make up about 60 percent of the 250,000 active small businesses listing their services on Thumbtack, women are gaining ground more quickly, even among traditionally male-dominated professions. 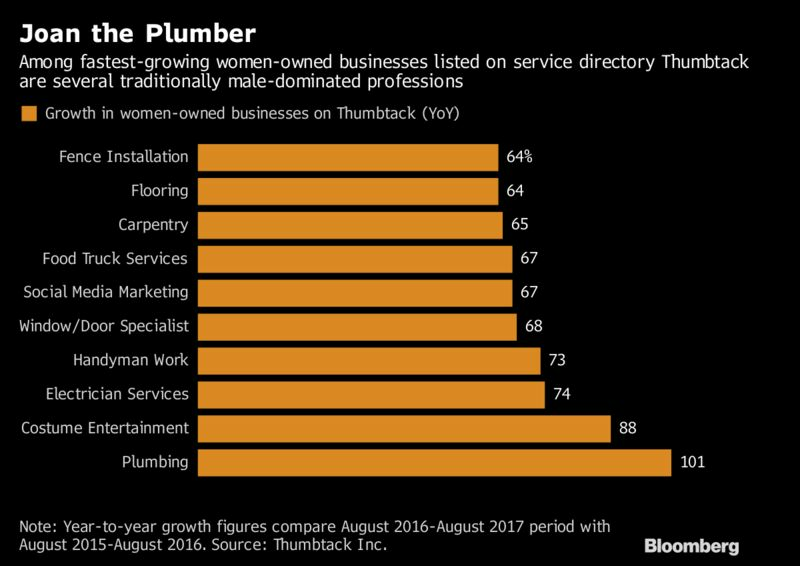 Among the top 10 fastest-growing women-owned businesses on Thumbtack in the past year are plumbers, electricians, and carpenters, according to the company’s survey data.